This DIP switch's is commonly used on a printed circuit board along with other electronic components and is commonly used to customize the behavior of an electronic device for specific situations. 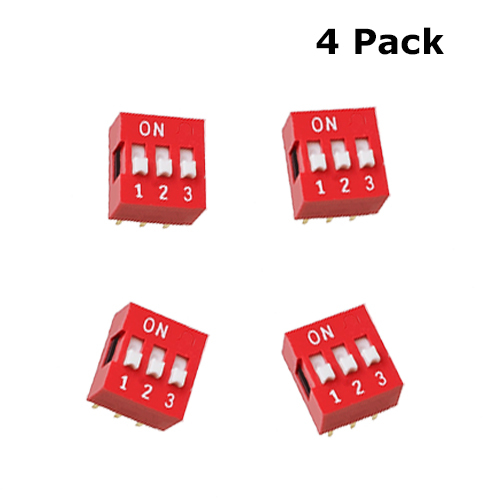 Slide Switch - Horizontal - Pitch 2.54 (5 pack) These small slider switches are very handy and comes in packs of 5. The leg spacing is 2.54mm. 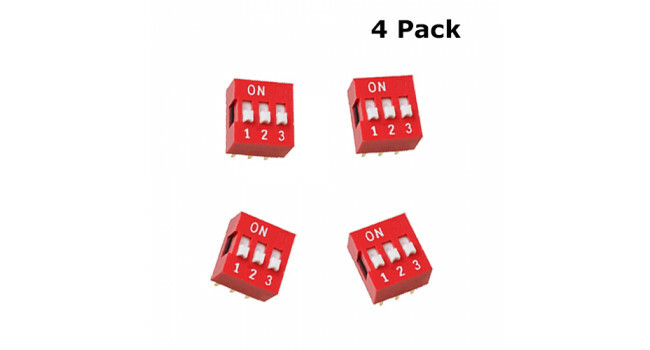 Quick Spec Switch Type: Slide Switch - 1 Pol..
Dip Switch 2 Pole - TH (4 Pack) This DIP switch's is commonly used on a printed circuit board along with other electronic components and is commonly used to customize the behavior of an electronic de..